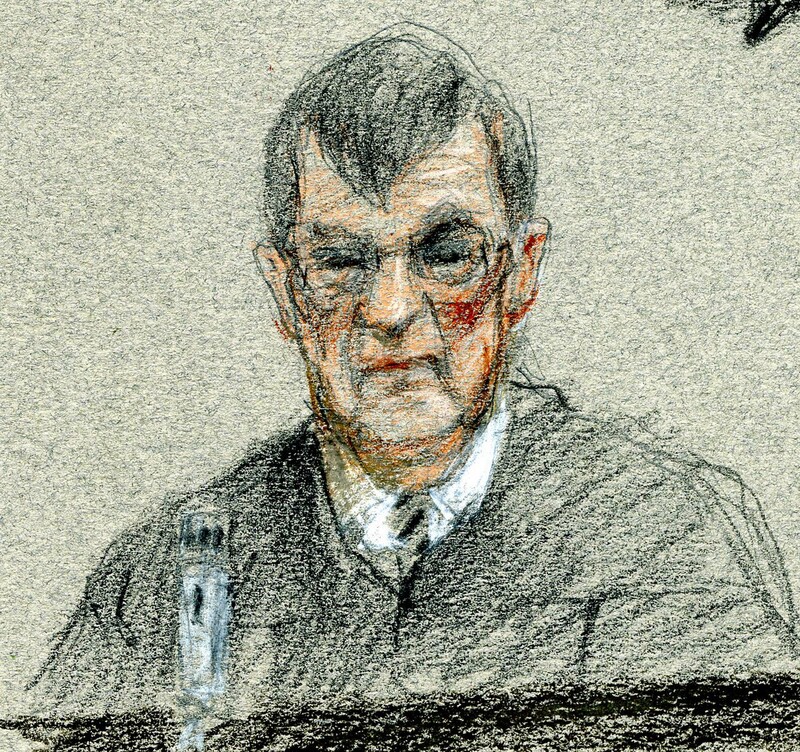 The Art of Courtroom Sketching. A good friend just posted that he was going to be going to court to serve as the courtroom artist for the Adrian Peterson hearings. It reminded me of some of the cases I have been asked to cover over the years, and for the uninitiated, it’s some of the most intense drawing you will ever do. The intensity comes from the situation itself. To start with, the concentration is intense. You have to observe and record likenesses from people who are continually in motion. You’re telling a story, so you have to compose a scene that brings all the important characters into the drawing to record the drama that unfolds before you. Second, you’re under pressure to “make it good”. If you’re drawing in a life class, or in the relaxed atmosphere of your studio, you can take a drawing you don’t like and toss it in the bin. There are also those days you wish you had a “do over”, where your drawing just isn’t that good. You don’t have that luxury in a courtroom. Your work has to be accurate, and it has to be a good representation of what you saw. You’re not just trying to please yourself, you’re more than likely going to be drawing for the hundreds of thousands of people and newsroom editors who will be looking at your work. The other issue facing a courtroom artist is the confined space you have in the public gallery. It’s not exactly ideal to have your drawing in your lap and all your supplies down by your feet. The other issue at hand is the defendant-the “celebrity” who you have to include in your drawing. Depending on your seat in the courtroom, you may or may not have a good view of the defendant at the bench, unless the defendant is testifying, of course. Most times the defendant doesn’t want to be drawn, and will consciously make an effort to look away from you. Sometimes that’s a good thing-one defendant in a murder trial shot a glare at me that was frightening. Of course, the opposite may also occur. In the first trial I ever covered, the defendant knew I was a courtroom artist, and he asked if he could pose for me before the actual trial started that morning. Amazing hubris. The most difficult assignment had to be small claims court by far. Instead of sitting through sessions that can last hours, small court claims are usually handled in three to five minutes in front of the judge. In those cases you draw fast and hope for the best, making color notes to the side so you can color the art when you get back to the studio. My friend Cedric Hohnstadt is about to cover a trial up in Minneapolis, and he’ll probably nail it. He’s great. “The Oracle’s Fables” Book Now Available!